This year September 18th marks the 75th anniversary of a fun packed day of serious fundraising and agricultural fun located right here on Mollett’s Farm! Cycle Race, Tug of War. All open events under handicap. Good Prizes, Come and bring your Friends. As we can see from the poster the main reason for the event was to raise funds for the Prisoners of War of the Suffolk Regiment. In 1943 British soldiers from the Suffolk Regiment were held in Japanese prisoner of war labour camps, some having been captured during the battle for Singapore. Many of the prisoners were held in extremely cramped, unsanitary conditions and were forced to build the railway system between Siam (now Thailand) and Burma (now Myanmar). The Suffolk Prisoners of War Fund was originally set up during the First World War and was reinstated during World War 2. The fund raised money for a variety of causes such as sending packages to the camps where the Suffolk Regiment Prisoners of War were being held, hosting a Christmas party for the children of POWs, or donation of funds to maintain the relatives of the local men who died due to their captivity. It was truly a worthy cause. 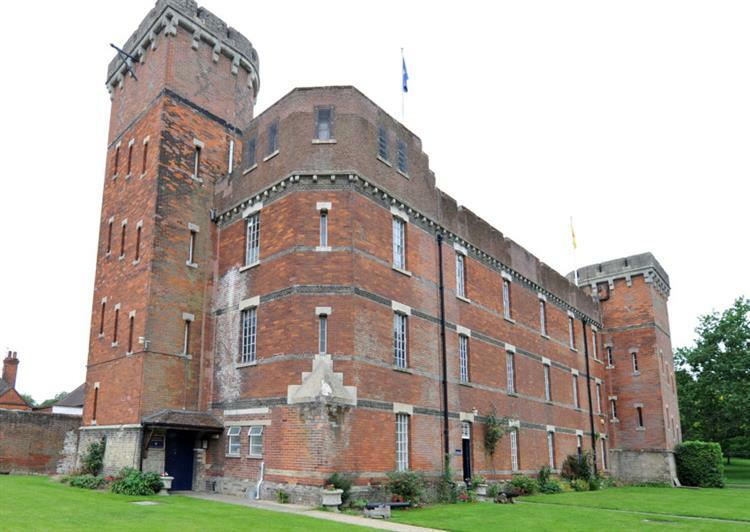 The Suffolk Regiment Museum, located in the historic market town of Bury St Edmunds, showcases the military history of Suffolk dating all the way back to the conception of the regiment in 1685. Their exhibits cover the history of the battalions alongside accounts and experiences of individual soldiers throughout the centuries. The museum houses archives detailing the Suffolk Prisoners of War Fund and accounts of the experiences of the POWs. 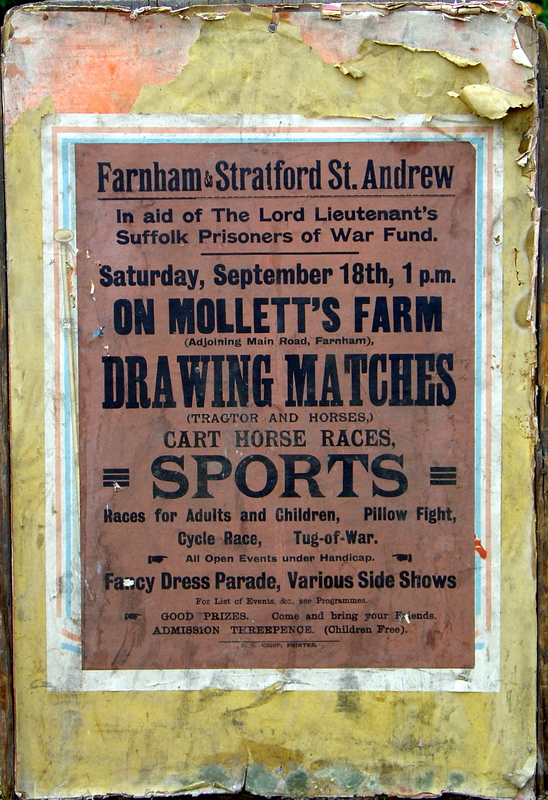 The event at Mollett’s Farm would have assisted in contributing towards the fund and would have also brought entertainment and enjoyment to the local people during the war. The highlights of the show were the Drawing Matches, a test of strength for either machine or animal to see who can pull the heaviest weight over a short distance, and the Cart Horse Races, a fast-paced race around a track. 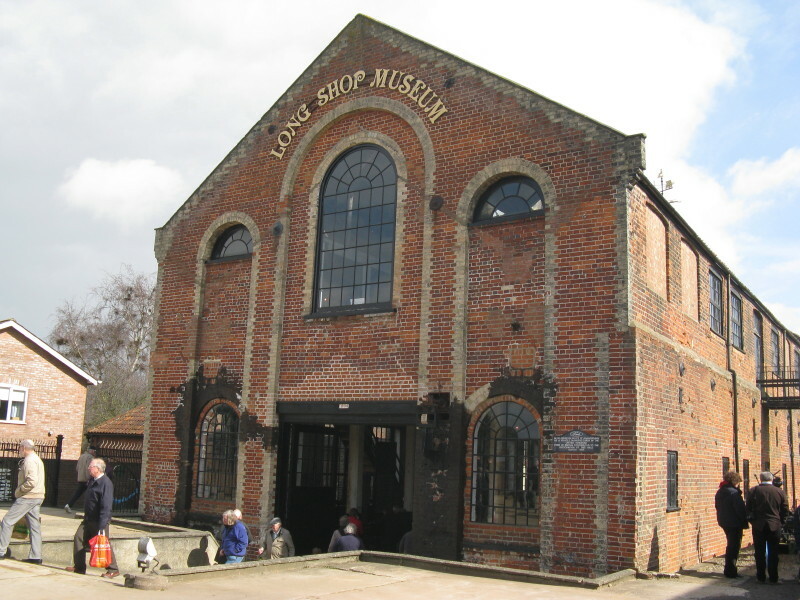 The Long Shop Museum, located in Leiston, just 15-minutes from our luxury accommodation here at Mollett’s Farm, is an industrial museum dedicated to the agricultural machinery manufacturers Richard Garrett and Sons. The museum is housed in Leiston Works and engineering workshop which originally produced steam powered machines alongside agricultural machinery. The tractors at the Mollett’s Farm Event may well have been built by Garrett and Sons, and the galleries and activities in the museum give a real insight into the heart of Suffolk’s Industrial Revolution. The lives of the Suffolk people during this time of difficulty would have been tough and trying. With the men away at war, or incarcerated within POW camps, their relatives would have been working hard on home soil to keep the houses and the businesses running. An opportunity to have some fun whilst raising some money for the fund would have been well received, and with races, pillow fights, fancy dress parade and plenty of other side shows there would have been plenty of fun to be had. The Museum of East Anglian Life, located in the small market town of Stowmarket, focuses all of its exhibits on the agricultural history of East Anglia. The museum is a time capsule that transports you back as far as the 17th century with exhibits of objects with interesting pasts and living history demonstrations that give you the feeling that you really have travelled back in time. The museum has a collection of over 10 historic building that have been frozen in time and maintained to give insight into life when they were occupied. There’s the Workers Cottages, the Alton Watermill, and even the Blacksmith’s Forge – a 200-year-old timber-built smithy that made crucial repairs to tools and machinery alongside shodding the horses, an extremely valuable skill within agricultural life. The Event at Mollett’s Farm wouldn’t have been such an exciting success if not for the horses who still played a huge part in agricultural life in 1943. The cart racing, one of the min highlights, would have drawn in many visitors with its thrilling fast paced entertainment. The Suffolk Punch, a breed of horse once reared here at Mollett’s Farm, would have most certainly been represented on the day. The Suffolk Punch Trust, located near the beautiful Hollesley marshes, dedicate themselves to harnessing the history of the Suffolk Punch whilst preserving the, now endangered, breed of wonderful horses and the skills and techniques of the people who handle them. 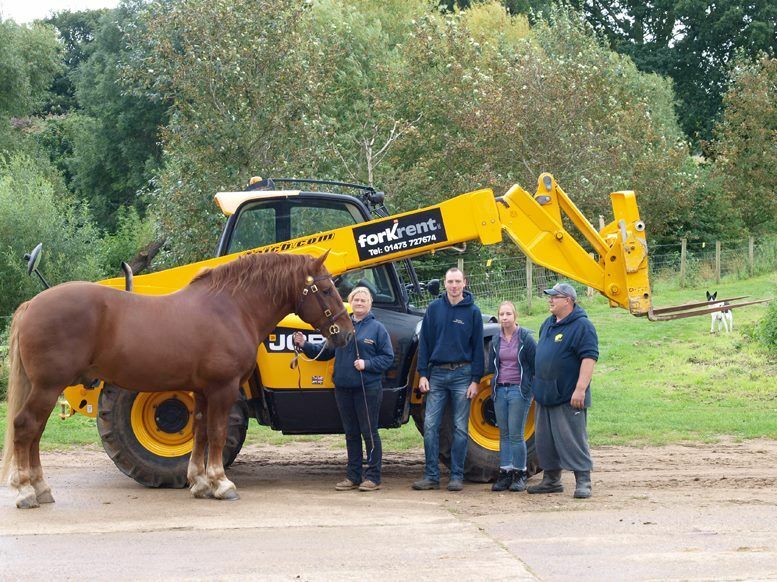 When the original 250-year-old Colony Stud and Farm was put up for sale the Suffolk Punch Trust was born, making it their mission to retain the fantastic history of the farm and its horses. The trust succeeded in its goal and then opened the farm to the public, making it a popular visitor attraction, and they now hold a range of demonstrations, activities and events that are fun for all the family. 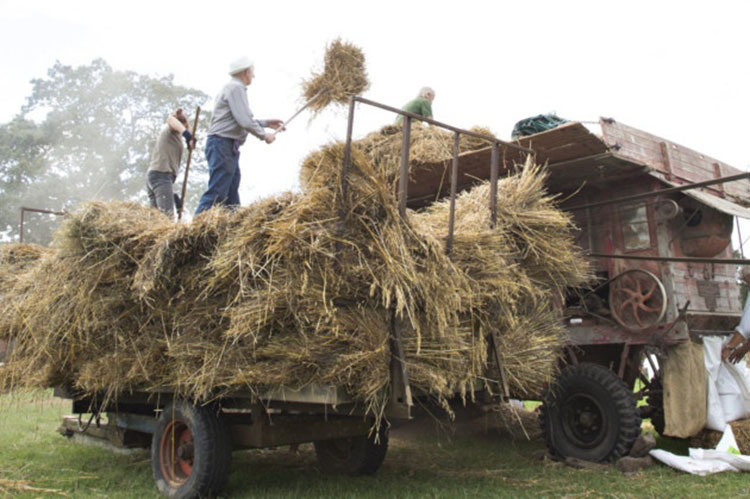 Although the Event is no longer held here at Mollett’s Farm there is an upcoming event on 23rd September that will make you feel like you have stepped back in time to the 1943 event. Harvest Past, organised by The Long Shop Museum and located at Peak Hill Farm in Theberton, is one of Suffolk’s most popular vintage shows jam packed with exciting activities and events such as; steam threshing demonstrations, heavy horses, classic cars, stationary engines, vintage tractors, main ring displays, side shows, farm animals, live music, fantastic local Suffolk food and much much more! Harvest Past really is the closest comparison to the Event at Mollett’s Farm. So why not come and stay with us in our Luxury Accommodation on the weekend of Harvest Past? Enjoy the new – but stay where it began!